Last week, a Polk County SWAT medic was shot in the shoulder during a barricaded suspect shootout. A Polk Sheriff’s Office M.R.A.P. was peppered by the suspect with over 40 rifle bullets in the incident. This scenario reminded me of some of my Team’s struggles to integrate medics into our own program. 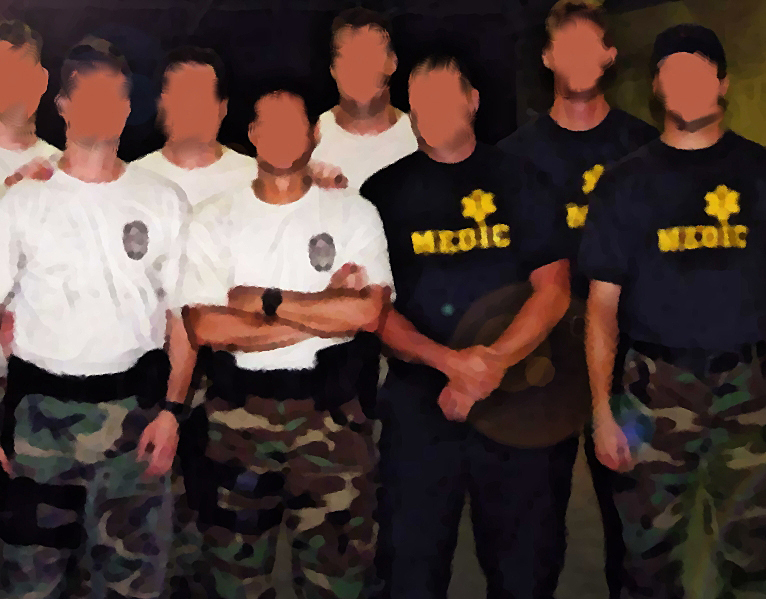 When I joined SWAT in 1989, there were no trained medical professionals on any tactical unit in the my county. About eight years later, we began sending fire department paramedics to SWAT School. Although the FD guys qualified with handguns and shotguns, they only carried them in training. Once the medics had been activated with our Team, we began to think about how they would be utilized on actual operations. We practiced bringing the medics with us on perimeters. We integrated them into large scale entries, though they were always at the back of the stack with a rear guard as their armed companion. Medics would be called out for high-risk search warrants and narcotics buy-busts. Eager to exploit our new manpower, we tried using them as van drivers on jump-outs. That did not pan out well, since we needed the extra pair of LE eyes up at the windshield on approaches to hostile drug houses. But the medics wanted to do more, so they came up with their own idea. To fire-rescue members, it was logical that since they were the experts in forcibly entering structures, they should be doing the breaching. Oh, trouble. While we were in absolute agreement that they had superior skills at cracking a door, the team leaders were dead set against placing an unarmed SWAT medic at the front of an entry action. It became a divisive topic. So polarizing, in fact, that we sat down with FD to put out the fire. The other team leader and I explained our position. If the medics were sworn and armed, we would have implemented their plan in a cardiac cycle, but that was not the reality of the situation. Several excellent medics subsequently quit the Team. We recovered from this disagreement and our program has had the continued support of our bunker gear brothers. While the medic will be okay, the shooting in Polk County underscores the dilemma that law enforcement faces in bringing “defenseless” teammates into hazardous environments. Polk’s SWAT Team was up against a heavily armed suspect wearing body armor. While we need to protect our medics, it can add tactical complications during a critical incident. I wish we could field a unit with sworn medics, but that does not exist where I work. In the meantime, these unarmed fire fighters still put themselves in harm’s way with the Team on every operation. We are lucky to have them. This entry was posted in SWAT. Bookmark the permalink. Miami-Dade SRT solved their dilemma by having MDFR medics go through both Basic SRT and the reserve police academy. They are armed and roll with the three teams full-time (even though your agency’s team is part time the idea is still solid). One MDPD SRT officer even went over to MDFR and came back to SRT as a medic. Unfortunately, we don’t have reserve officer programs here, Justin, unless they are previously State certified. The fire fighters are stand up guys. A few are as good with the firearms as some of our officers. If they had the training, I would be comfortable with them being armed. These brothers of mine do the same job and deserve the same tools. Hands down I would feel comfortable with them being armed. However, their role is first a medic as part of the team.